I’ll never forget that morning, it was September 11th, 2016. I woke up, put my feet on the floor, rose to a standing position and instantly lost consciousness - falling forward with a thud. I awaked to discover that I was lying on the carpet, staring straight at the floorboard. Our apartment bedroom was small and I was two inches away from cracking my skull on the bottom corner of the door jamb. You would think something like that would slow me down right? I shook it off, brushed my teeth and went downstairs to make my 1st cup of coffee. When my husband and sons woke up a couple of hours later to begin getting ready for church, I casually shared, “You know the weirdest thing happened this morning. I got out of bed and I passed out.” They looked shocked, but I assured them I was ‘just fine.’ And on we went on with our day. The next day, my Morning Show co-host Karl must have noticed something was different because as soon as he saw me, he said, “Juni, are you alright?” Can you guess what followed? “Of course! I’m fine!” I beamed. He didn’t look convinced. Our primary topic at the start of each hour was concerning the many 9/11 memorials in honor of loved ones lost on one of the saddest days in North American history. But that wasn’t the only headline - strangely enough, Hillary Clinton also passed out that day while waiting for her ride after attending a memorial ceremony. By early afternoon on Tuesday, September 13th, I was in the emergency room because of exhaustion and dehydration. As I laid there with my IV, I remembered the events of the previous week: A prayer-walk across downtown Chicago with hundreds of others crying out for healing of the plague of escalating violence in our city. Culminating into a gathering of thousands to discuss what we could each do to unite and fight back the darkness. Lying there, still and quiet for the first time that year, I considered the facts: I’d been suppressing heartache every single day as I worked overtime while downplaying my grief over my mother’s death. On top of that I was trying to process incomprehensible bad news I’d received about my husband and his extended family. If you ask me now, I wholeheartedly admit that my decisions then were nothing but foolish, proud, and dangerous. What was I thinking? There’s not much more I need to share about this. His statement says it all. My prayer for you today is that you will decide to be determined, committed, tenacious and resolute about rest. Make time to be sad, right now if you need to and be blessed because you are beloved. For more encouragement on the topic of making time, consider what the Bible says in the book of Ecclesiastes, chapter 3, verses 1-11. 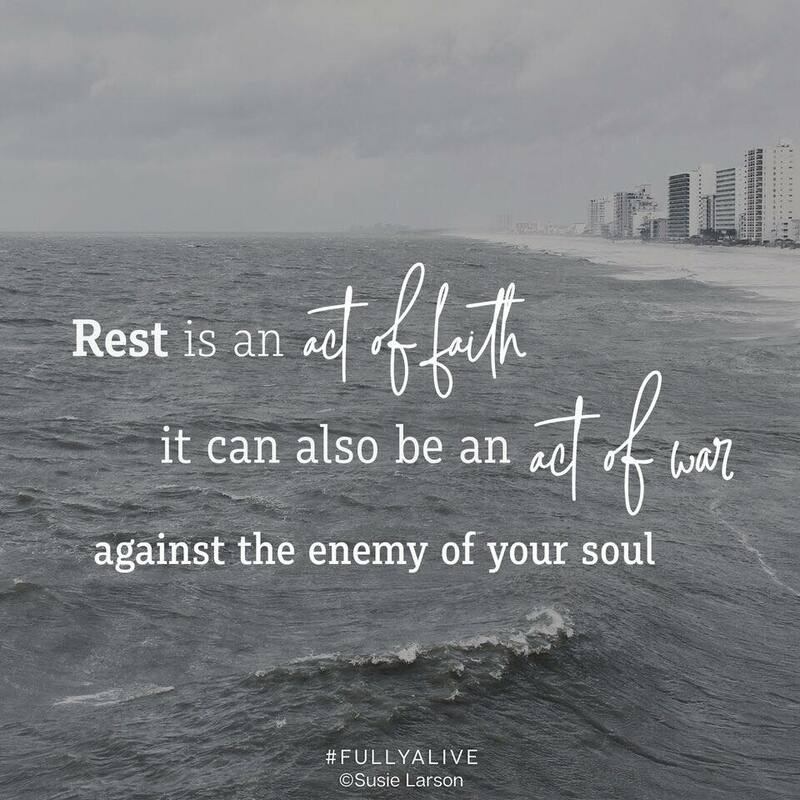 Join in the ‘Quest for Joy ’ and share your thoughts and lessons learned about courageous rest! Hello there. I’m Juni and I’m so glad that after all you’ve been through, and all you’re going through - you found the courage to read this blog and take a first tiny step in your Quest for Joy. The heartache that you woke up with this morning, that pain in your soul that makes even the task of receiving hope for the day exhausting, that heartache is not who you are. The abuses, losses and betrayals you suffered do not have to define you and they can’t tell you who you are. Your situation is not your destiny and sorrow is not your permanent address. Trauma recovery has nothing to do with a lack of faith. You have faith, that’s why you’re reading this. It’s not about lack of faith, or failure to pray the right prayers and do all the right things. Trauma recovery has everything to do with your willingness to commit to a healing journey. Just in case no one’s ever said this to you before: I’m so sorry for what you’ve been through. It wasn’t right, it wasn’t fair and you didn’t deserve it. What happened to you matters because you matter. There are some things that happen to us that no one can make right, but I promise you , you can be made new. You’ve already come this far, that’s how I know you can do this. Recovery from trauma of any kind is like facing a giant and requires courage and faith like you’ve never known. If you want to make it to the other side of your sorrow, you have to armor up, train hard, learn your gifts, trust your allies and do the work. But if you’re unwilling, I’m sorry, you’re not going to make it. And I really want you to make it. That’s why I came back for you. So, if you’re ready, and you’re willing, let’s go. Let’s journey together with joy! Special thanks to Annie Spratt for this beautiful photo!